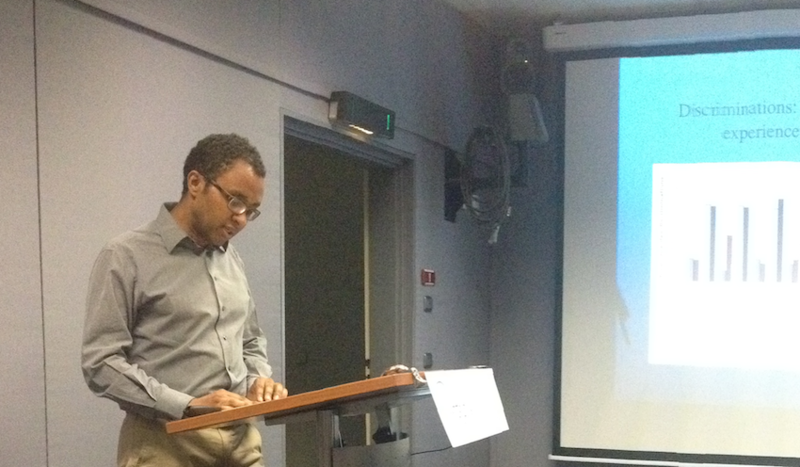 Pap Ndiaye (CHSP, Paris): The Minority Paradox: Blackness in France. Pap Ndiaye is professor of North American History at the Centre d'Histoire de Sciences Po, Paris, and has done research on Blackness in both the United States and France, but also on corporate histories (DuPont) and on urban history, e.g. the city of Chicago. His work has been received both in Europe and in North America, and his publications have been awarded with scholarly prizes. 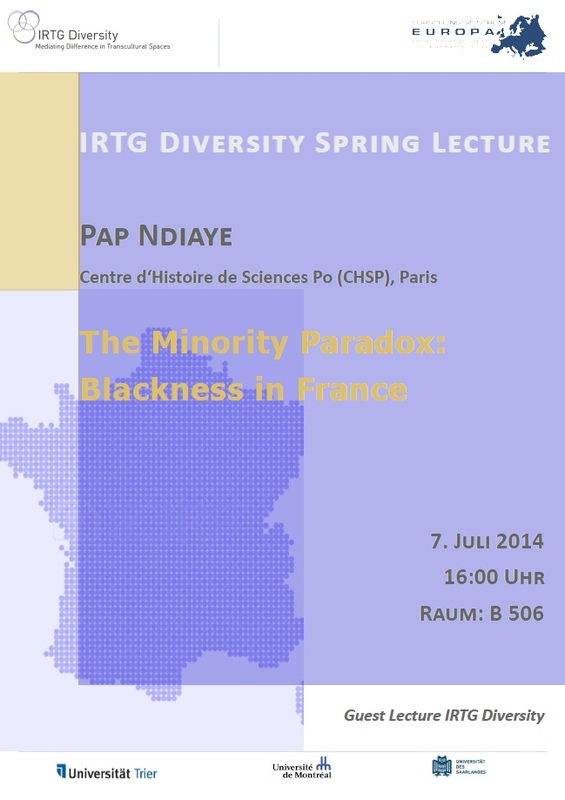 See also his Wikipedia entry at http://fr.wikipedia.org/wiki/Pap_Ndiaye for more information about our distinguished guest speaker.